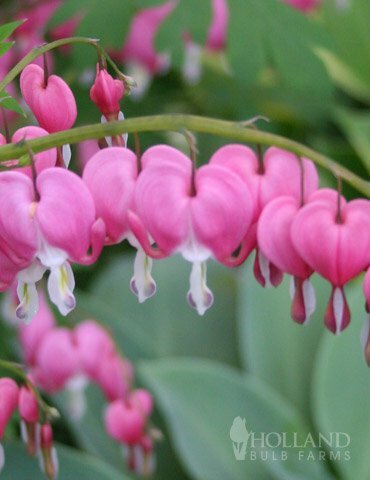 Bleeding Hearts (Dicentra Formosa) are lovely little perennial plants.Today I’ll share a few bleeding heart plant care secrets, so you can grow and enjoy these adorable heart shaped flowers. 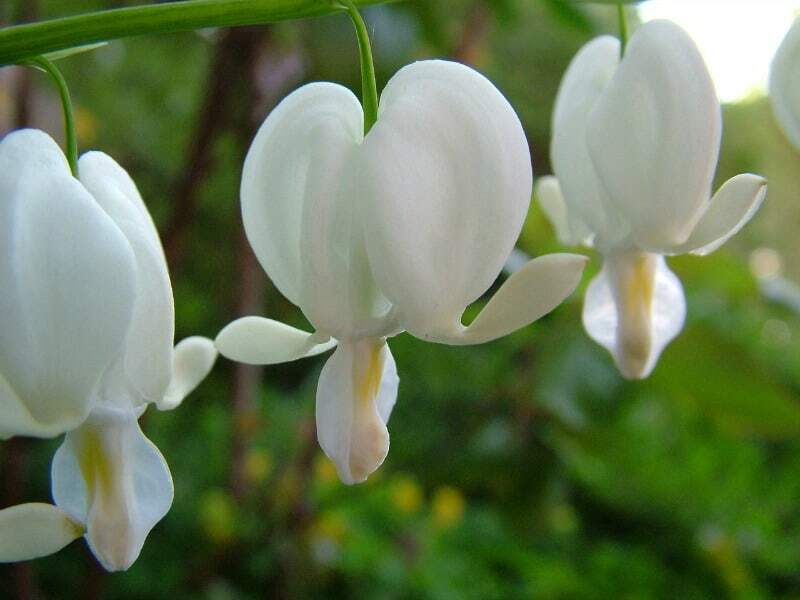 The botanical name Dicentra comes from the Greek dis, twice and kentron, a spur. This alludes to the plant’s floral spurs. 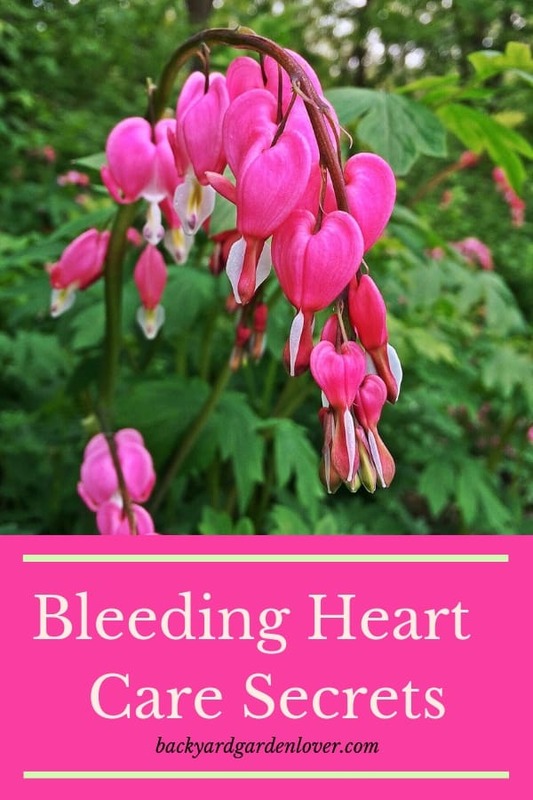 Bleeding Hearts are winter hardy perennials which bloom year after year. 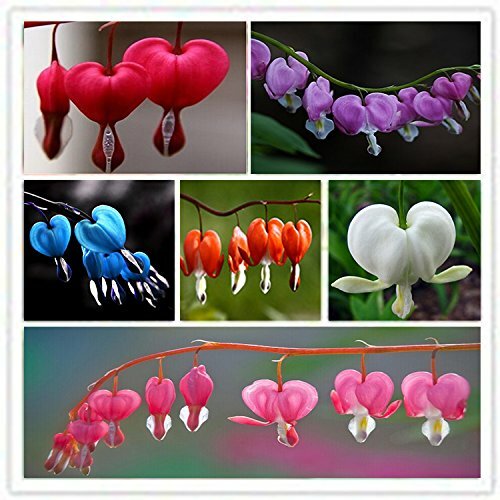 The distinctive heart-shaped flowers are pink, rose or white. Dicentra Spectabilis, a more well-known, larger-flowered species from Japan. Formosa is native to moist woodlands along the U.S. Pacific Coast. It reaches a height of about 16 inches with coarsely divided, rounded leaves. The red and pink flowers look like tiny hearts. The larger D. Spectabilis can grow to two and a half feet and has red and white blooms. Both species are known as Bleeding Hearts. 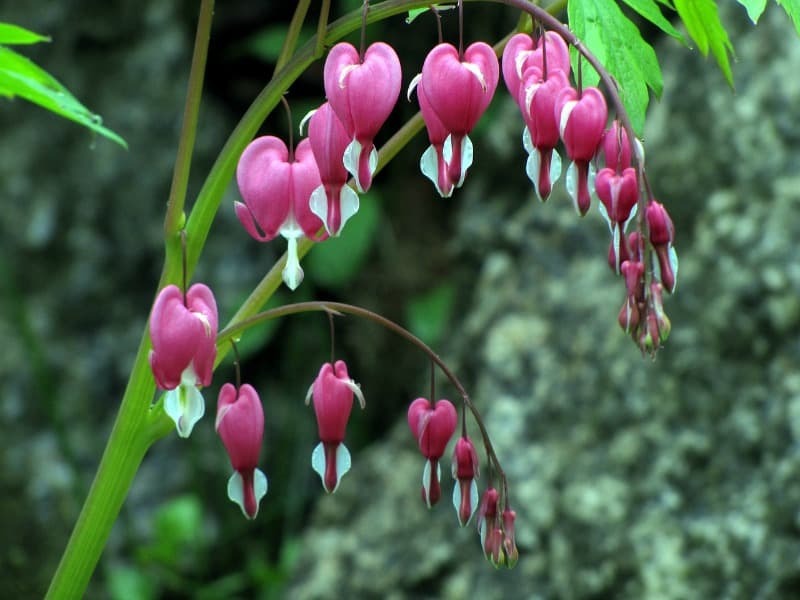 Like many other flowers, the bleeding heart flowers have a special meaning. The pink, heart shaped flowers express romantic love, and the white flowers mean purity. But that’s not all! The reason for the common name is obvious, but the heart-shaped petals hide an intriguing secret. The stamens, anthers and inner ring of petals form a shape underneath the outer petals almost like a tiny doll in a white petticoat. 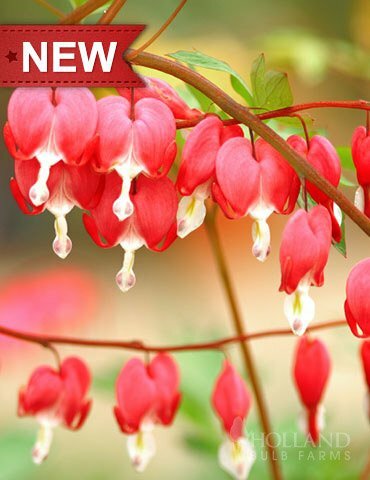 As easy to grow as it is interesting and beautiful, Bleeding Heart is an unequaled favorite of many home gardeners. The first delicate sprouts appear above the ground in early spring and by July the plants should be in full bloom. Provided with good rich garden soil bleeding hearts will thrive, especially if there is a little light shade to shield them from the harshest rays of the sun. Both varieties are completely winter hardy. Bleeding heart reappears every year without fail, blooms every spring and summer, withers in fall and remains dormant until the following spring. 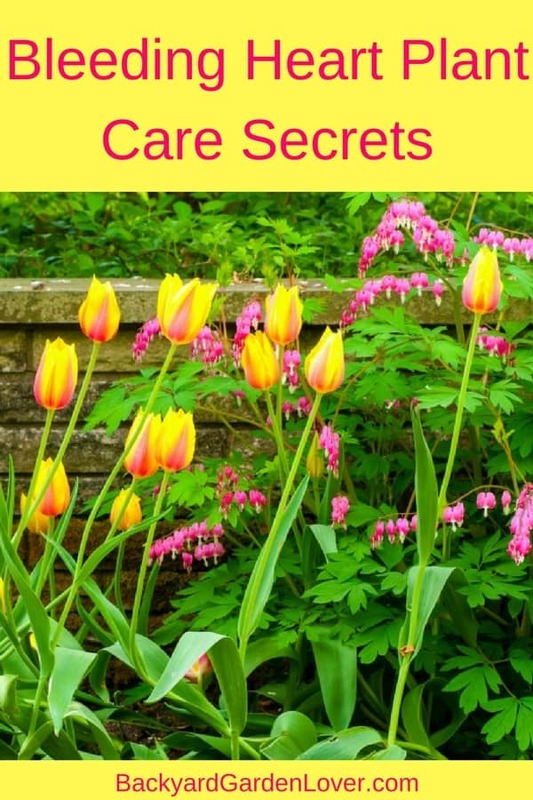 It needs no special care and can be used in a flower bed or in boxes or tubs. You may be fortunate enough to bring bleeding heart into bloom twice. As soon and the first crop of blooms begins to show signs of exhaustion, cut the entire plant back. Sprinkle a complete fertilizer on the surrounding soil, and wait. If winter doesn’t arrive too early you should be able to enjoy a second flowering towards the end of fall. Cut the stems back when flowering is over. 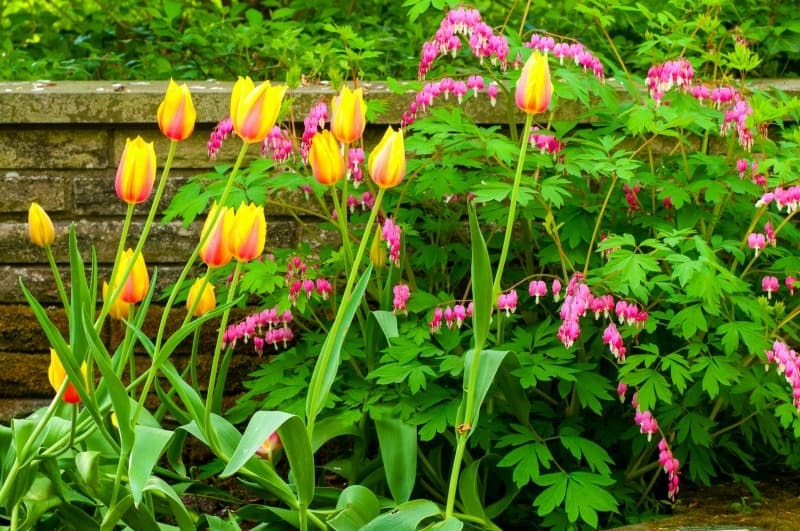 Lift bleeding hearts and replant them every 3 to 4 years. Remove and discard the oldest part of the plant. To force Bleeding Heats into early bloom, start in the fall. Being careful not to damage the roots, move the plants into large pots and place them in a frost-free room. In January, raise the temperature to 60°- 70°F. Blooms should appear within 6 weeks. Indoor forced plants can be later planted out in the garden or kept indoors in a cool location. Bleeding heart plants are easy to propagate. You can divide bleeding hearts in September/October. Cuttings are also easy. The best time for taking cuttings is around May 1st. Carefully snap off new shoots and plant them in moist, coarse, porous soil. Cover with glass or plastic. The roots should be strong enough to survive transplanting after only one month. 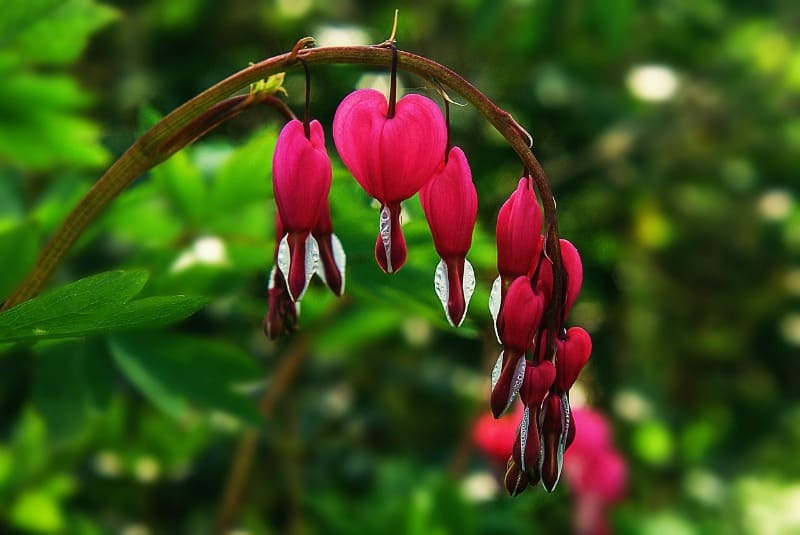 You can also grow bleeding hearts from seeds, but it will take 6 weeks to three months to germinate. It’s so easy to divide and grow from cuttings, that it’s almost not worth trying to grow it from seed. If your bleeding heart flowers are not doing well in their current location, and you’d like to move them, wait! Don’t move them in the middle of summer. Wait until late fall when they go dormant, or early spring before they come alive again. this will ensure your plants have the best chance to do well. In the mean time, if they are in real distress, cut down any leaves that don’t look well and give the plant a bit of fertilizer. Attention! 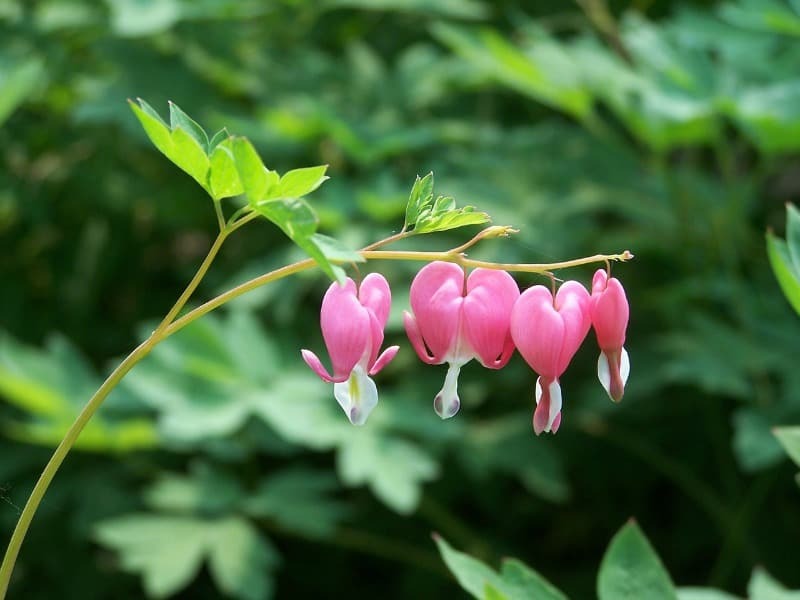 Bleeding heart plants are poisonous to both people and animals. So, if you have children and pets, you might want to skip growing this plant for now. Learn more about plants that are harmful to people or toxic plants for pets: you’ll be surprised to see some of your favorite flowers on those lists. Beautiful pink bleeding heart flower arches, full of flowers. Want to see more beautiful flowers? Fuchsia flowers are gorgeous and easy to grow. What a pretty cluster of Blushing Beauty tulips and bleeding hearts growing in front of a low stone wall. Beautiful pale pink bleeding heart flowers. Bleeding heart plant care couldn’t be easier. Plant some (ask a neighbor or a friend to give you a couple cuttings). Mix it up with some contrasting tulips (can you tell I love that combination?) and enjoy the show all summer long.